Saffiya is a 2018 graduate of the McCann School of Business and Technology, where she completed an intensive massage therapy program and procured nearly 200 clinical hours. Not only does her dedication and passion shine through with each client that she services, but Saffiya strives to create the most serene experience imaginable. In doing so, she delicately frames each session to the individual’s unique needs, which includes incorporating relaxation massage techniques with myofascial release, deep tissue work, and stretching. Her other areas of expertise are hot stone and therapeutic massage, used to create a relaxing, integrative and fully-effective massage experience. 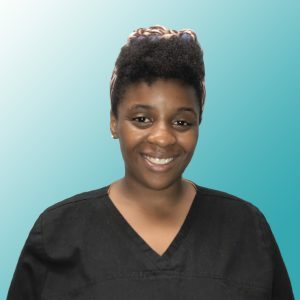 A love for alleviating client discomfort is just one of many components that prompted Saffiya’s new career path in massage therapy. Following a diagnosis of multiple sclerosis of the cervical spine in 2017, while simultaneously undergoing the everyday stress of a student, she made the life-altering decision to begin receiving weekly massages as a mechanism to reduce symptoms. As a result of her own experiences, few know better than Saffiya that there’s no greater feeling than to be pain-free. Saffiya is looking forward to expanding her education in deep tissue techniques, in addition to learning ashiatsu massage in the future. Saffiya’s whole-heartily belief in the power of massage to fuse the mind, body, and soul as one is a welcomed addition to Balanced Body Therapeutic Massage. Saffiya is a member of the Associated Bodywork and Massage Professionals. 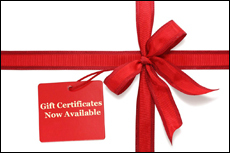 In 2014, Brianna graduated from the Pennsylvania Institute of Massage Therapy and procured her license in massage. She has six years of study in anatomy and physiology and received certification in cupping therapy as well as being recognized for it by the International Cupping Therapy Association. 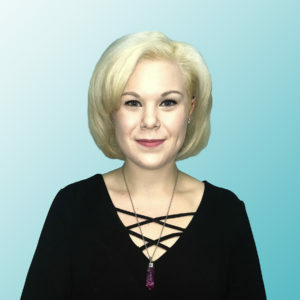 Modalities she has received training in are swedish, hot stone, prenatal, orthopedic, sports, and deep tissue massage, as well as active isolated stretching, myofascial release, facial rejuvenation cupping, cellulite cupping and reflexology. Brianna looks forward to working with you and meeting each individual’s therapeutic needs. Brianna is a member of the Associated Bodywork and Massage Professionals. With 15 years of clinical experience and extensive education, Tracie strives to help restore and rehabilitate areas of the body that have suffered trauma. She is a Certified Medical Massage Practitioner and has experience with integrating massage into other healthcare treatments. Other modalities include Fibromyalgia Massage, Himalayan Salt Stone Massage, Therapeutic Massage, Lymphatic Drainage and Reflexology. She is also a participating provider with the following health insurance companies: Cigna, Optum Health Allies, Optum enhancedcareMD, & American Specialty Health. Tracie is a graduate of Health Options Institute and a member of the Associated Bodywork and Massage Professionals. After many years suffering from Scoliosis and various treatments, Kristin started college in 2007 at Northampton Community College majoring in Biology with the desire to be a Physical Therapist. Not too long after, she changed her dream in hopes of becoming a Massage Therapist. Kristin went on to complete a 633-hour Massage Therapy program at Pennsylvania Institute of Massage Therapy. 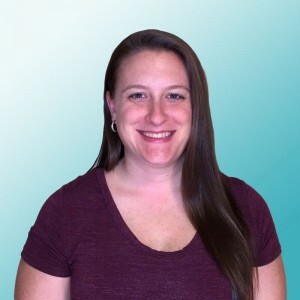 In addition to serving as a Balanced Body Therapeutic Massage team leader, Kristin is well-versed in Deep Tissue & Therapeutic Technique, Reflexology, Pregnancy, Myofascial Trigger Point Therapy, Orthopedic Massage, Active Isolated Stretching, Kinesiology Taping, and other modalities. She knows just how important it is that therapy and massage go hand in hand when helping to relieve muscle tension. In fact, Kristin has utilized continued massages as a way of helping to alleviate her own back discomfort. Recently, her interests and expertise have focused on Cupping Therapy, Gua Sha, and Deep Tissue. She is a participating provider with the following health insurance companies: Cigna, Optum Health Allies, Optum enhancedcareMD & American Specialty Health. Kristin is a member of the Associated Bodywork and Massage Professionals.